June | 2008 | Always On! When I was growing up, my parents had a stereo system in our living room. It was made up of a record player, that was white and light blue — to coordinate with my mother’s carpet and sofa — and two speakers. These sat on a little stone shelf that came out from a fireplace in which she kept dried flowers. The fireplace itself was never used, which is good because the bricks had been painted white — to coordinate with my mother’s color scheme. I don’t know if I loved George Carlin because of the brilliant musicality of his content and delivery, because of his unequaled timing and insight, because of his playful yet pointed mocking of authority. In fact, I can’t even begin – at least not at 11:30pm — to express why he was such a genius for me. But I knew that he was. In the last few years, I have continued to marvel at how smart he was and how talented he was to write and deliver those long, musical patter-like sets. 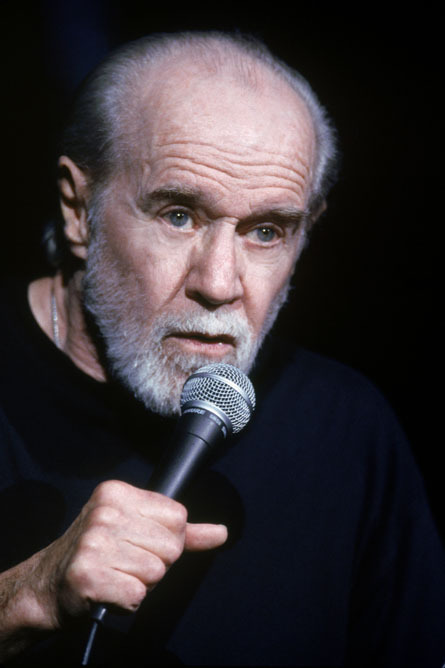 Recently, I was fortunate enough to see George Carlin perform at the Beacon Theatre here in New York. I regretted at the time and still regret that my friend and I were a few minutes late because we ran long at a Turkish restaurant nearby. But still I was fortunate enough to see him perform live. The show was themed around suicide, something that few people could pull off, and which, of course, he made hilarious. The most memorable part was the section where he suggested a reality show of people who would like to kill themselves on TV. I think he could have successfully pitched it to a television producer. I miss him and wonder what he had been working on since I last saw him perform. While FaceBook seems to have all kinds of interesting functionality, I actually find it quite cluttered and not completely intuitive. While this may be sacrilege to say, here is a quick case in point. When I joined in 2006, I used my post college e-mail address to gain membership. At the time, I was one of two people in my class who were members. This put me into a “Harvard” network and, because I listed NY as my home, I was included in a NY network. This seemed advantageous because it meant that people could not contact me unless they had some kind of connection. However, because I had chosen to use my college e-mail, I could not figure out a way to join the Wharton Network, which was somewhat disappointing. And, of course, at the time, high school affiliation was not an option. Well, over time, FaceBook found a way for me to list these other affiliations, but adding networks is a bit more time consuming and complicated. I’ll get back to you when I’ve mastered that. So… I’ve created a new group. Instead of Harvard 1988, which still exists, this one is Harvard Class of 1988 and is not restricted to members of the Harvard Network. I now have three members… I lost a few in the changeover. Once I’m confident there are no other major glitches, I’ll start to promote it. After all, the more I put in, the more I’ll get out.